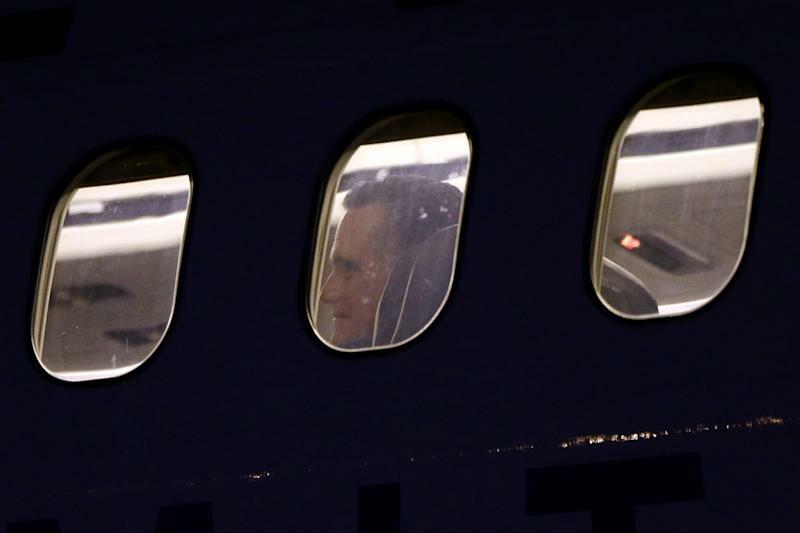 BOSTON (AP) — His reach for the presidency thwarted, Mitt Romney stayed out of sight late Tuesday as news organizations including The Associated Press announced that President Barack Obama had won a second term. 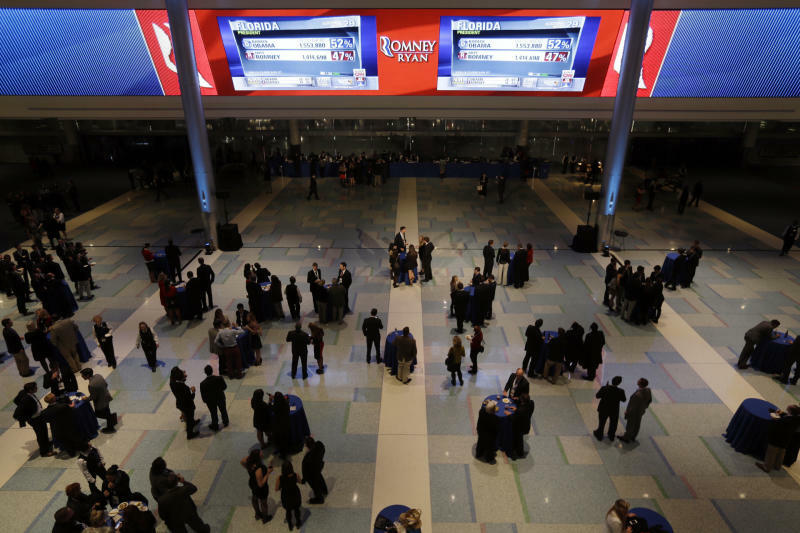 Dejected Romney supporters milled around a hotel ballroom where the Republican hopeful had planned to declare victory and groaned as key battlegrounds moved Obama's way. Obama's victory in closely fought Ohio narrowed Romney's path to the 270 electoral vote. The Democrat also was declared the winner in other swing states including New Hampshire, Wisconsin, Colorado and Iowa. Michigan and Pennsylvania, which Republicans hoped to put in play, stayed in Obama's camp as well. Florida and Virginia remained too close to call. Romney supporters cheered a win in North Carolina, which Obama captured four years ago. But it was a rare prize in an evening that broadly favored the presidency. Romney staffers almost all expressed shock or surprise that so many states had voted for Obama. Republican vice presidential nominee Paul Ryan was watching returns with family in the same hotel where Romney and his family watched results. The Republican nominee had already written a 1,118-word victory speech that he thought would conclude his yearslong quest for the presidency. Earlier Tuesday, Romney said he had no regrets no matter the outcome. 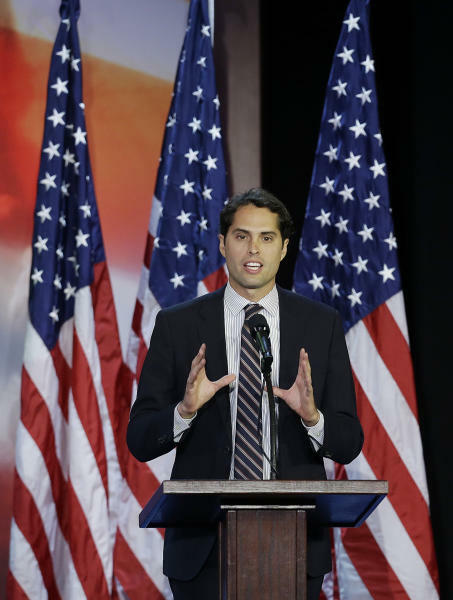 Romney's son Craig appeared briefly in the ballroom early in the evening to warm up the crowd. Craig Romney said that after his father dropped out of the race for the GOP nomination in 2008, Ann Romney had been opposed to another run but eventually changed her mind. "We're grateful that she convinced him to get into the race because we know that my dad has been uniquely prepared," he said. The GOP nominee had spent Election Day doing a last-minute round of campaigning in one state he's showered with attention, Ohio, and another he's largely ignored, Pennsylvania. After voting near his Boston-area home, Romney was betting that an eleventh-hour appeal to working-class voters in both states would help him defeat Obama. On his campaign plane in between flights, he worked on his speech. He said he hadn't written a concession speech, though he acknowledged the results might not come out in his favor. "Nothing is certain in politics," he said.